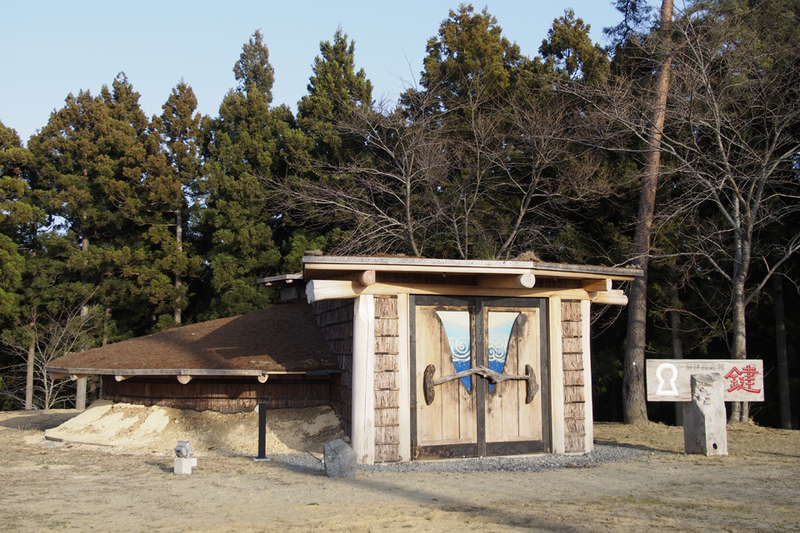 The March 2011 Tohoku Disaster not only caused devastation by engulfing buildings and farmland, but the tsunami also brought salty seawater far inland, rendering soil useless for agricultural use in the near future. Considering the region’s tradition of building with local materials, rather than declaring this land completely futile, NCS is using this salt drenched soil to build. 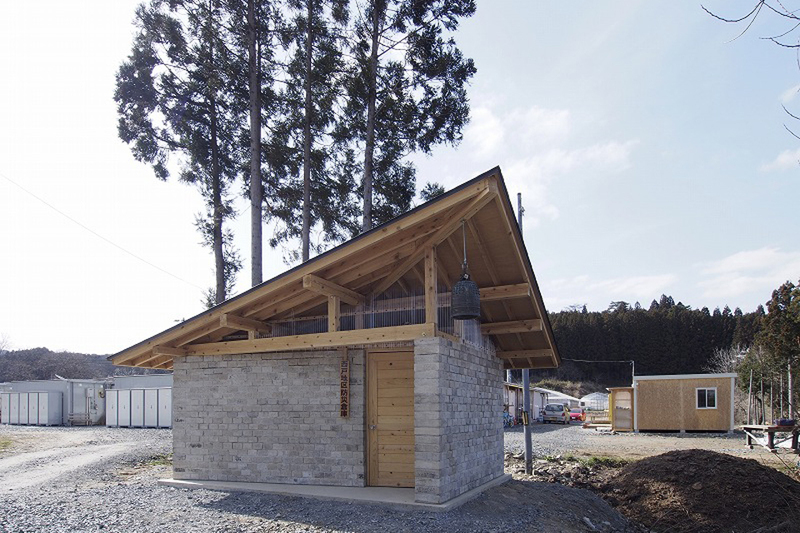 This project was done with the support of Mitsubishi Corporation Disaster Relief Foundation and Lush Japan Co., Ltd. charity bank. 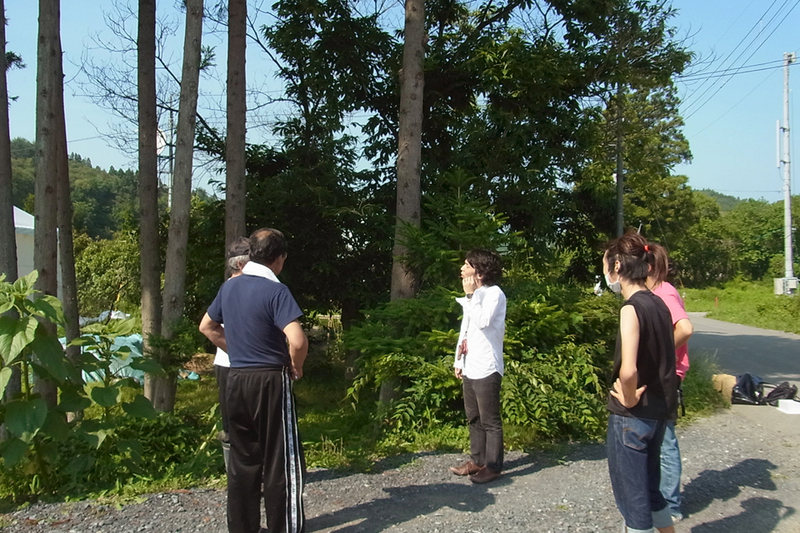 After the workshop and some time had passed, we visited the area with volunteer students. We were thanked by the residents of the temporary housing, their children rushed up, and we were able to interact again. 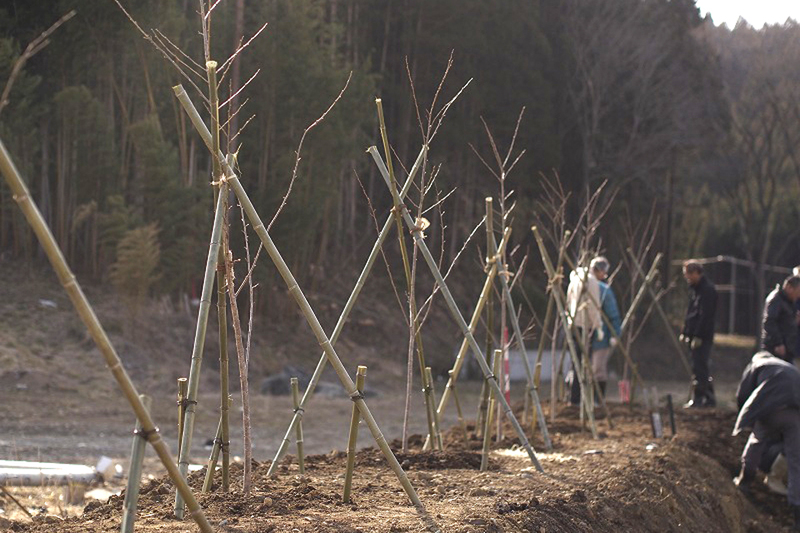 They were going to plant the cherry trees on our visit day and we observed them. We felt the ripples of our exchange would be grow by this activity little by little and connect us to the future. 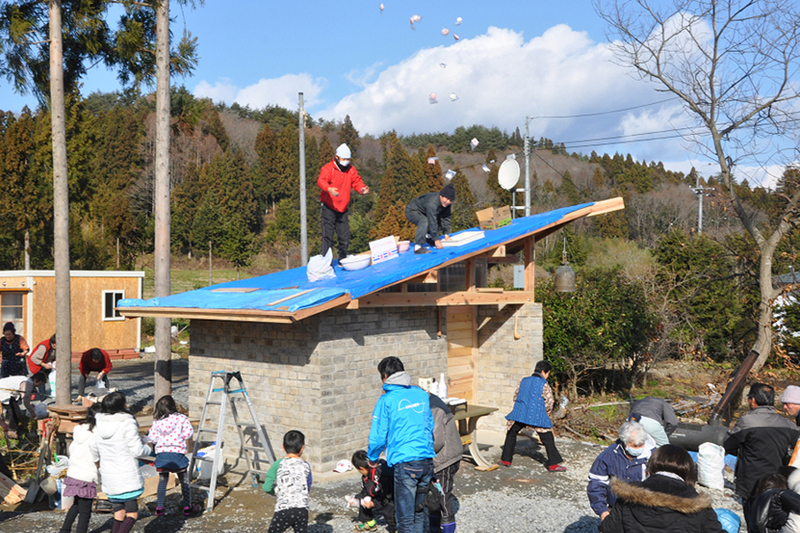 After the construction of the emergency supply warehouse was completed, the chief director Yamashita, the president of residents' association, Minamisanriku Reconstruction Network gathered and performed a delivery ceremony. We gathered residents and held a workshop afterwards. At first, in the workshop, we listened to their impressions of the completed warehouse and examined whether it could be used for town development. "Kirisogi district emergency temporary housing" was the first district which decided to move to the hill in Minamisanriku-cho. As the warehouse was close by it was used frequently. The opinion was expressed that it was a good trial and a kind gesture to make the building by our hands, but making large-scale building connecting to the town planning seemed difficult in the situation due of shortage of labor and time.We had performed design, structure design, mixing, strength design of the earth block, and site management in even this compact warehouse. 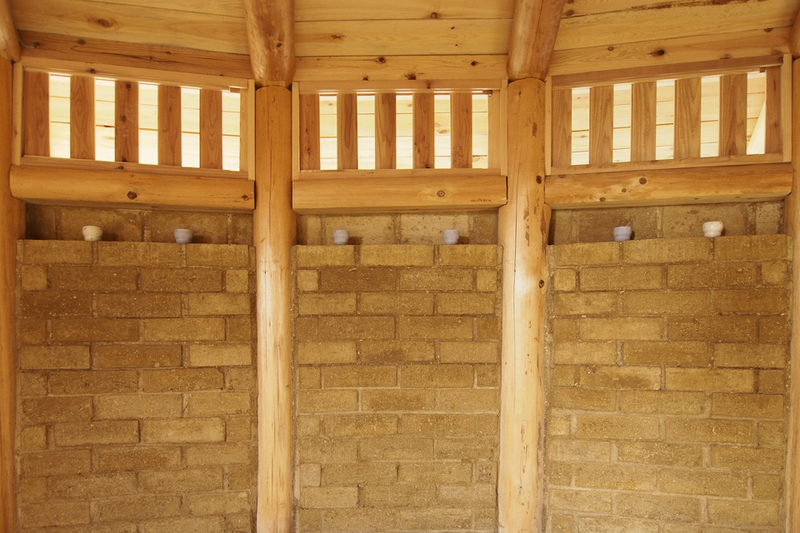 However, a good building was completed as a result, and we came to a conclusion that we would offer technical supports again when town planning with the earth block would be carried out in the future. 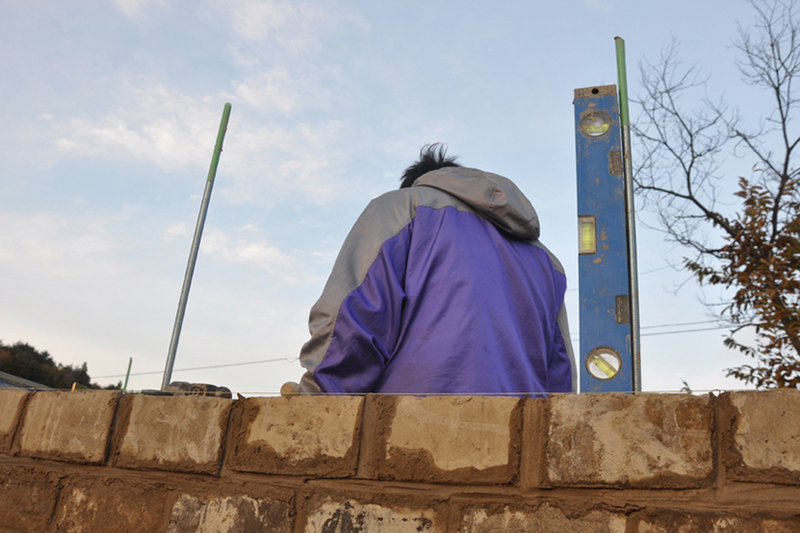 Although there was delay of completion of the earth block into the middle of October because of the labor shortage and unsettled weather, we started to pile the earth block up at the construction site from the end of October. It was approximately 10㎡ and a very compact warehouse, but the construction method was performed in the same procedure as a general building. 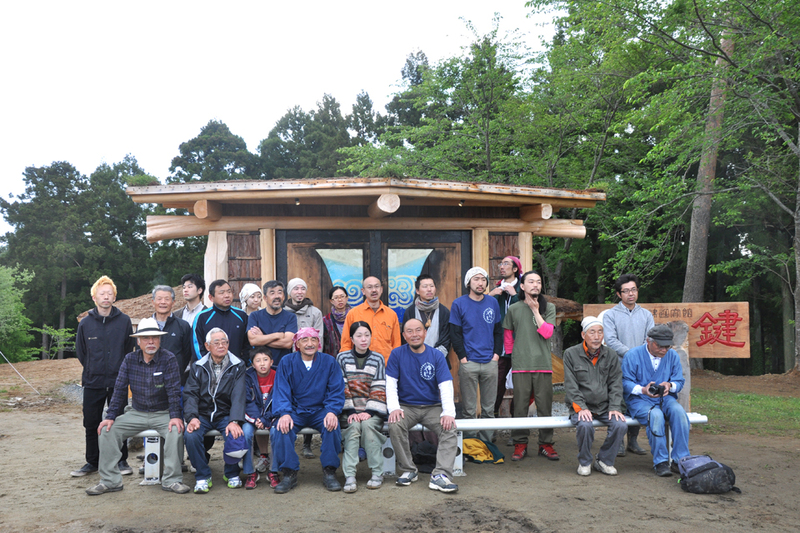 The president of residents' association, relevant local craftsman, Minamisanriku Reconstruction Network, students of Aichi Shukutoku College and Atelier Tekuto participated in construction other than our corporation. 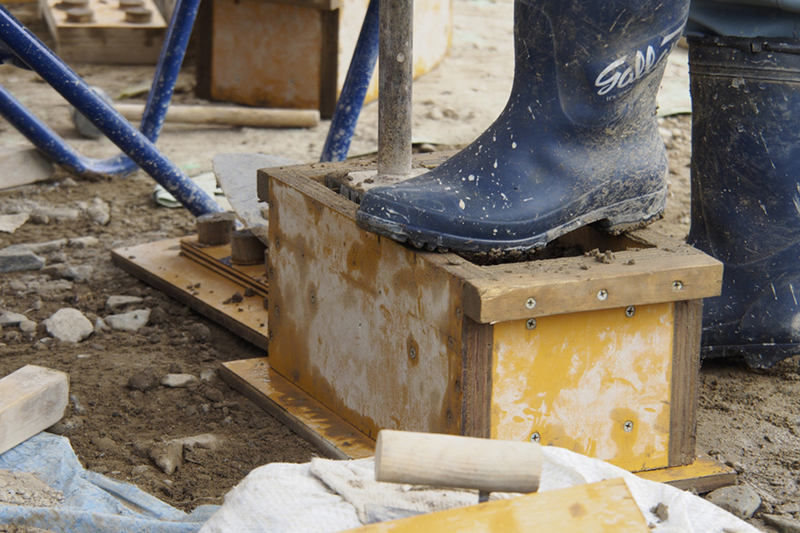 1.At first we did "marking" and stretched "leveling string" for reading standard to pile up the earth block because the construction place had already finished leveling of ground and foundation. 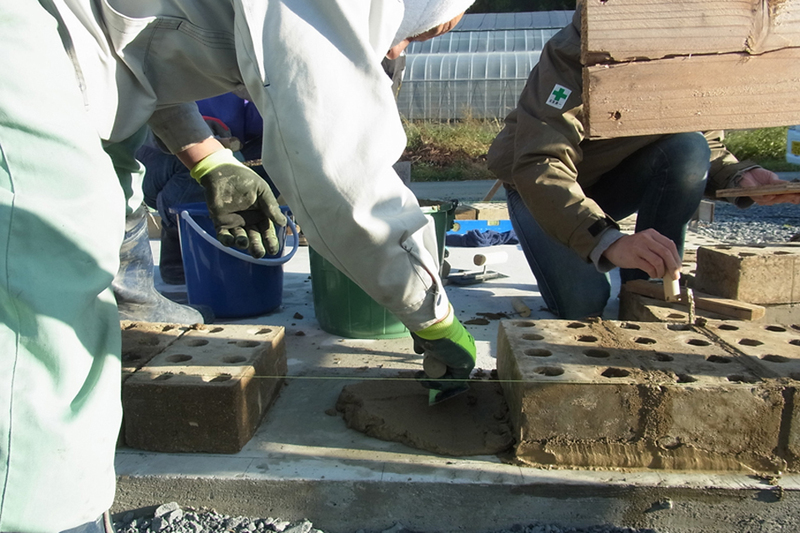 2.Afterward, we carefully placed the earth block one by one which we had made in the summer. Although the number of workers varied depending on the day, we piled at a pace of about 60 blocks with 4 people a day on average. 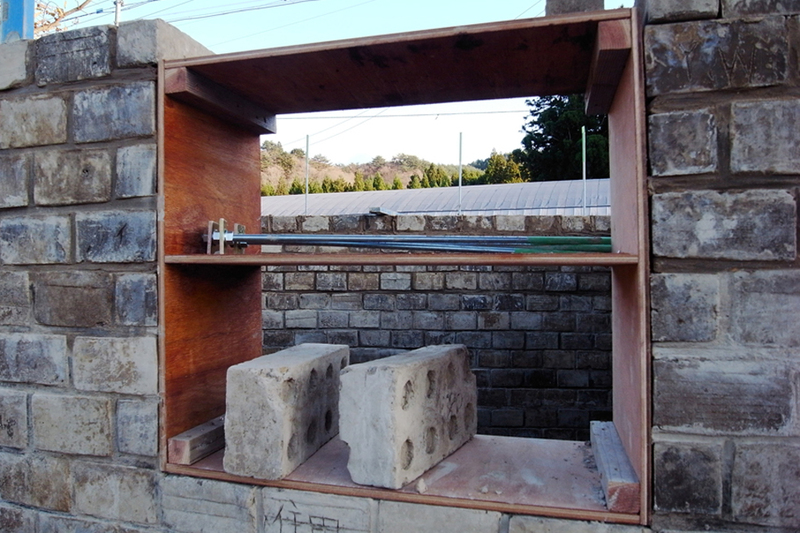 3.As for the entrance and the transom window appearing in the middle of piling, the opening size was secured by placing a temporary wooden frame. 4.From the place where we piled up 15 rows on the way, the anchor for connecting tightly was attached to the roof truss (beam and girder). 5.After piling up, we executed the waterproof material to the 20 rows 1464 blocks in total for preventing from being affected by rain, wind and snow. 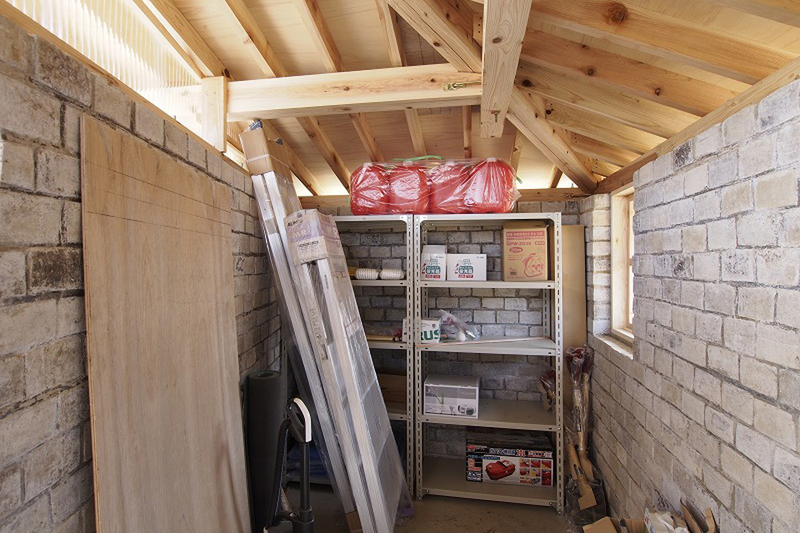 6.After the framework was completed, the installation of the roof truss was made by the local carpenter and a temporary wooden frame was removed, then the sash was mounted at the same time. 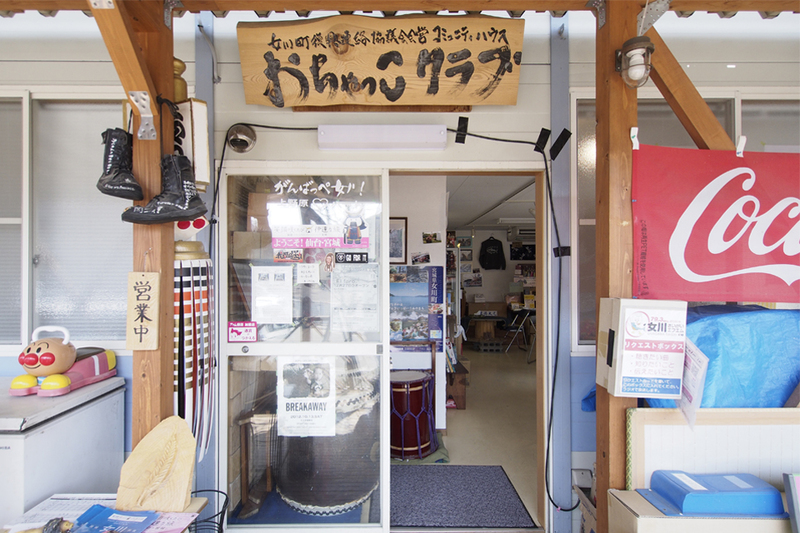 As it was almost completed, we attached a signboard and a bell and held a completion ceremony. 7.We applied a roofing as waterproofing on a roof and covered sheet metal afterwards. A thatcher who saw a warehouse at that time suggested that more complicated and attractive roofing way was better than simple way, then we decided to change. 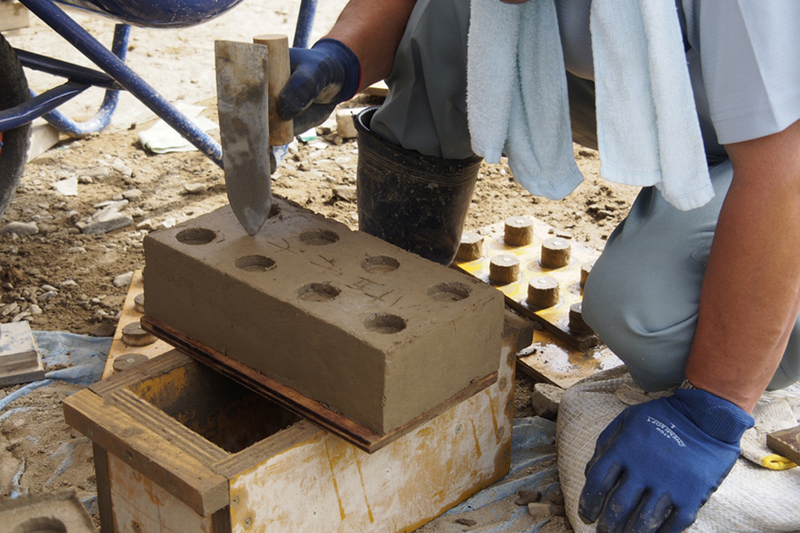 We rent land approximately 100m away from the construction site in August, and we started to produce the earth block. 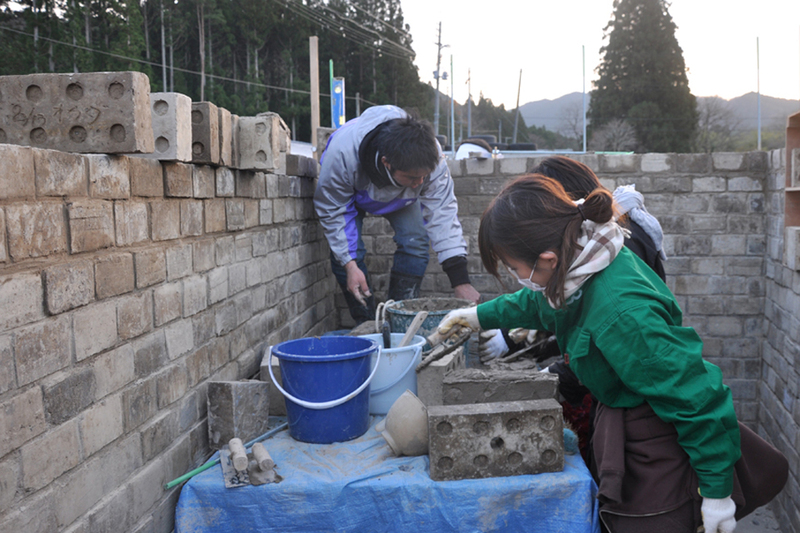 Our group gathered volunteers in cooperation with Minamisanriku Reconstruction Network and called out to residents of Kirisogi district emergency temporary housing to produce the earth block. 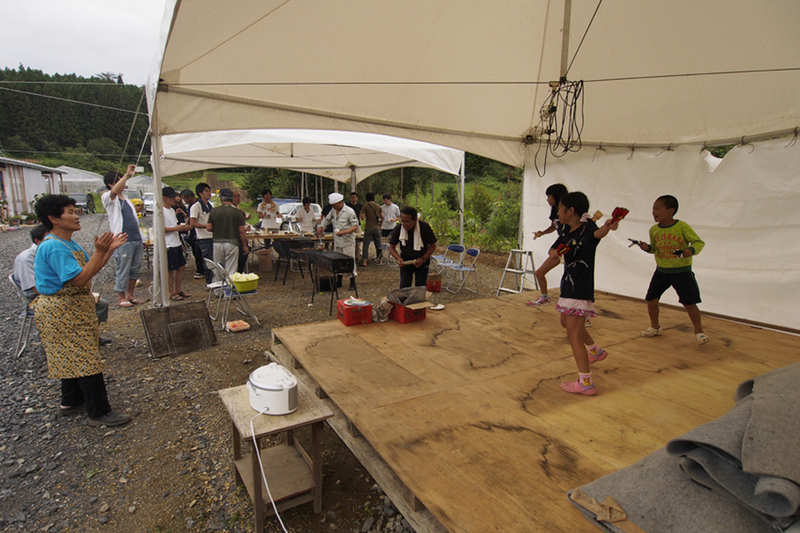 In the middle of the activity, the residents had a barbecue, and we were able to deepen our friendship. 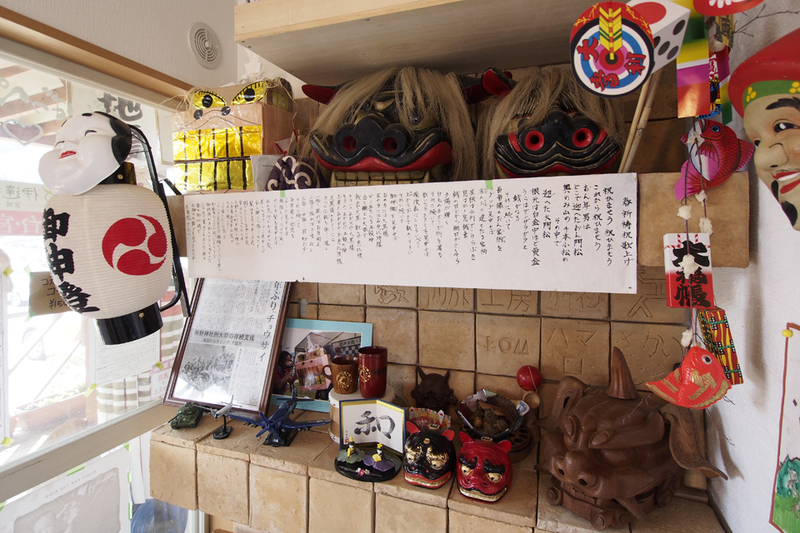 We had a meeting with local people in late July and prepared in Kanto at the same time. 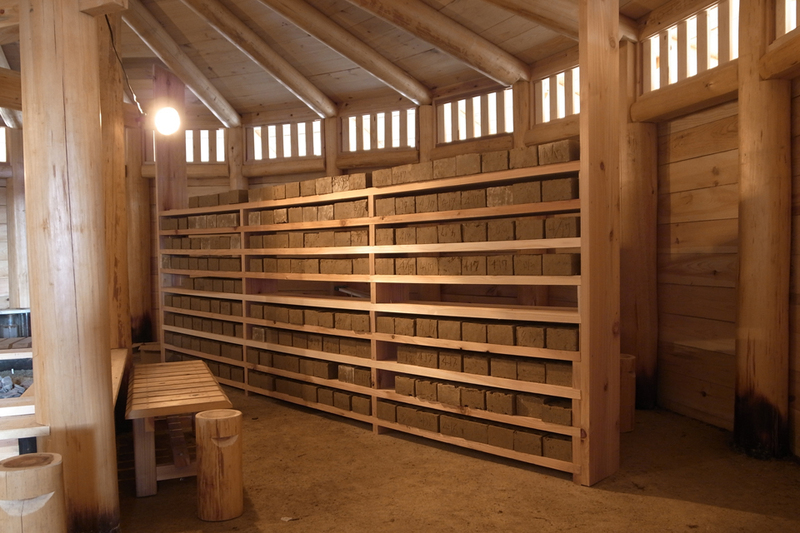 Atelier Tekuto who had made drawings created the flask of the earth block. 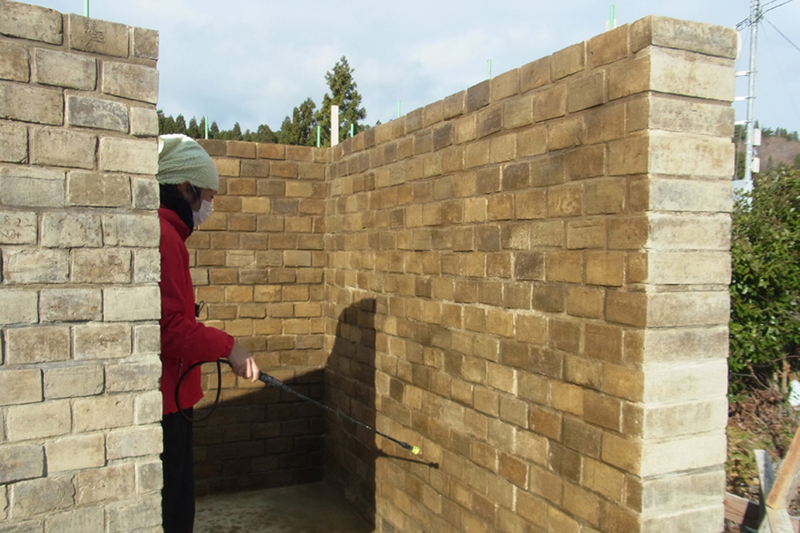 Soil from Togura district, water, sand, gravel and magnesium oxide were necessary as the materials of the earth block, and the mix proportion was reached by Professor Koshiishi and Atelier Tekuto. Minamisanriku Reconstruction Network had been inviting the construction site. 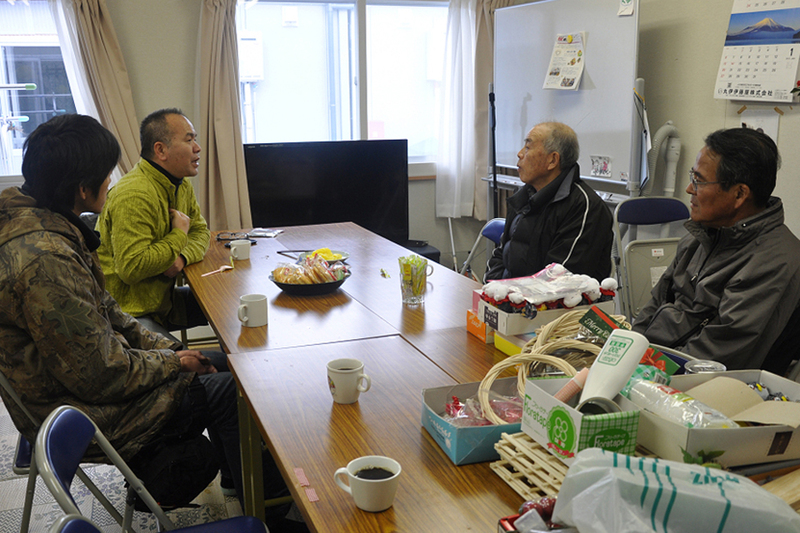 Kirisogi district emergency temporary housing residents' association, in Togura-Saido Minamisanriku-cho Motoyoshi-gun Miyagi Prefecture, applied for it and they had a meeting in July to decide the site. 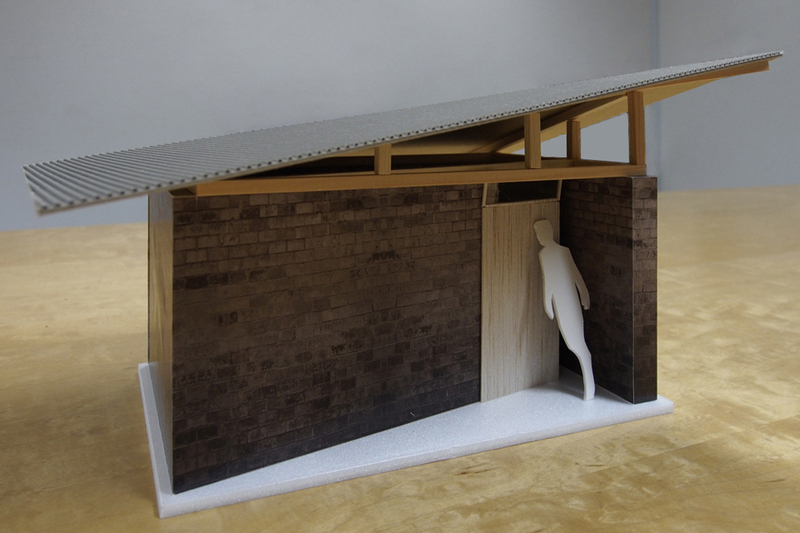 After seeing the model we had made, they requested the warehouse not for fishermen but for emergency supply, and we decided to proceed with the building shape basically as it was. 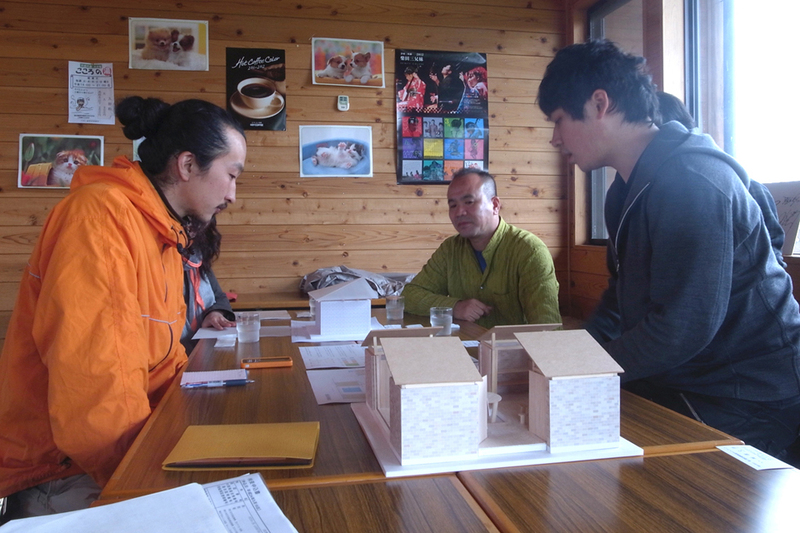 We had a meeting with Minamisanriku Reconstruction Network and began to create drawings and a model for presenting to the residents, though the construction site had not been decided. 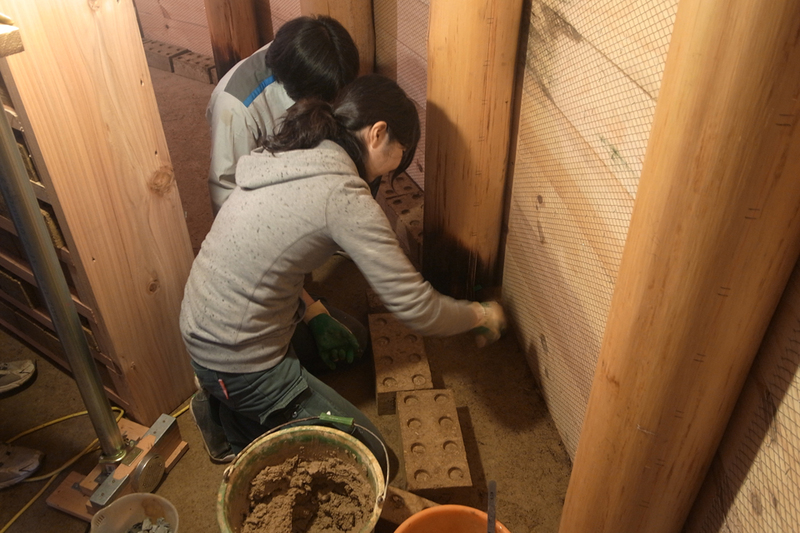 Then, we started design work in May 2012 led by Atelier Tekuto that had designed a house with earth block structure. At that time, we recruited students learning construction from the universities in Kanto (Chiba Institute of Technology, Tokyo Denki University, Toyo University, Waseda University) as “laboratory” in each architect office, and requested them to create concept plan, drawings and models and to give a presentation as an educational effort. 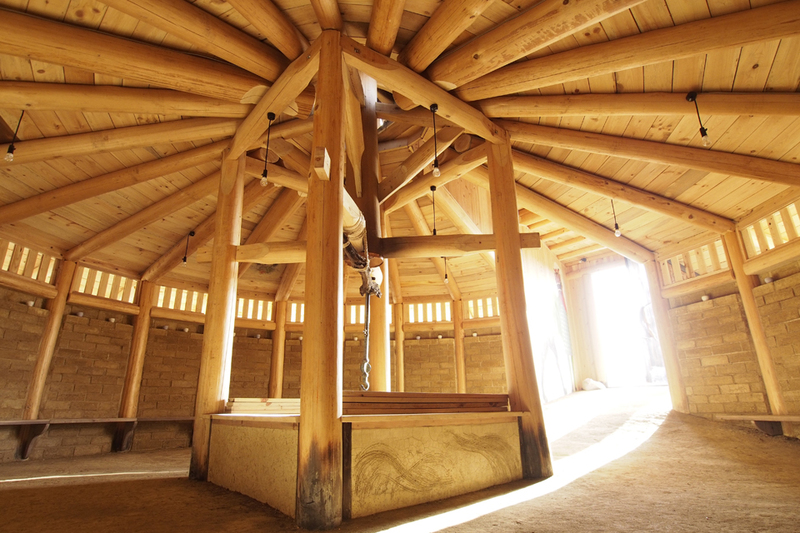 Based on the plans the students created, Atelier Tekuto made concrete drawings and we had meetings repeatedly with Sato san, a specially appointed associate professor of The University of Tokyo who designed structure with local people and Mr. Oikawa, then we designed most suitable one. 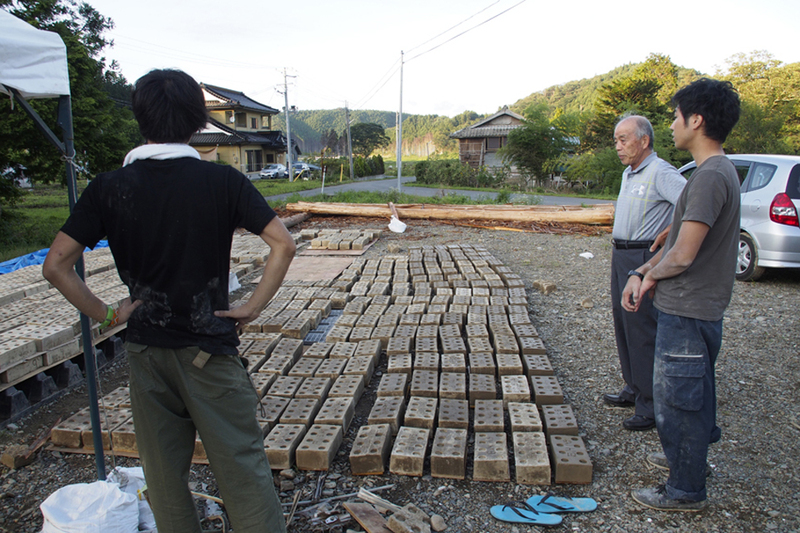 It began with a demand of Mr. Oikawa from General Incorporated Association Minamisanriku Reconstruction Network requested technical offer that they wanted to build i warehouses with earth block which would lead to the preservation of the local culture and history. 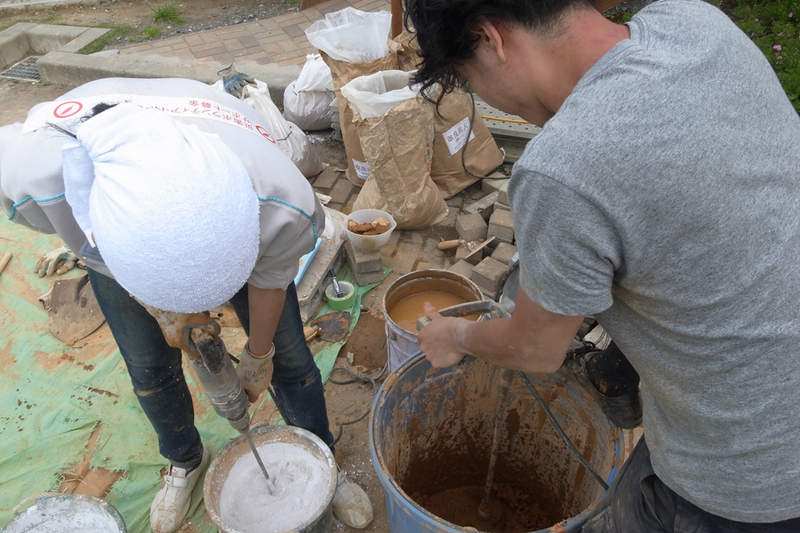 Though the construction site had not been decided, we collected soil and performed material experiments under Professor Koshiishi of Waseda Universit. 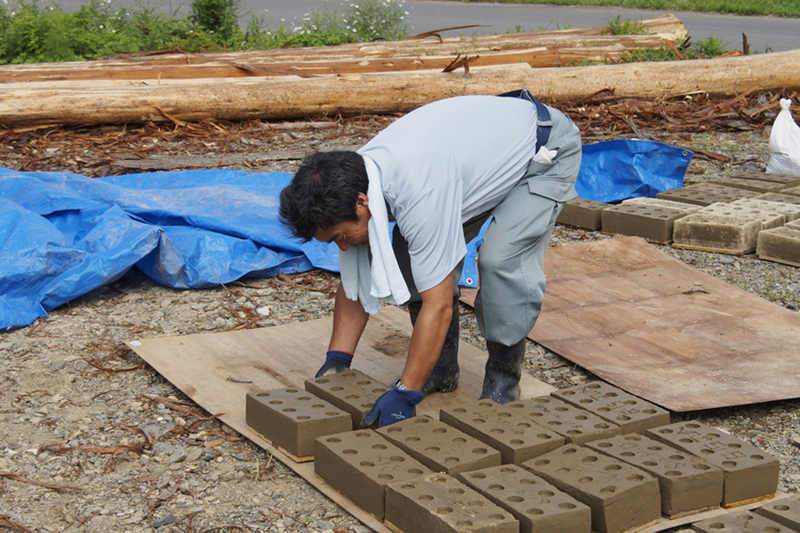 We provided technology using earth block previously in Utatsu district and Onagawa-cho in same Miyagi Prefecture. 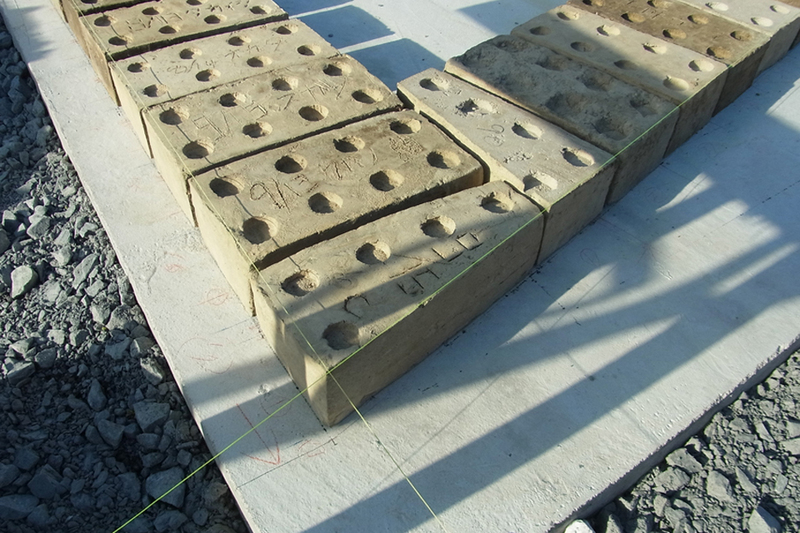 We checked the tile in a curing period in June and started to put tile. 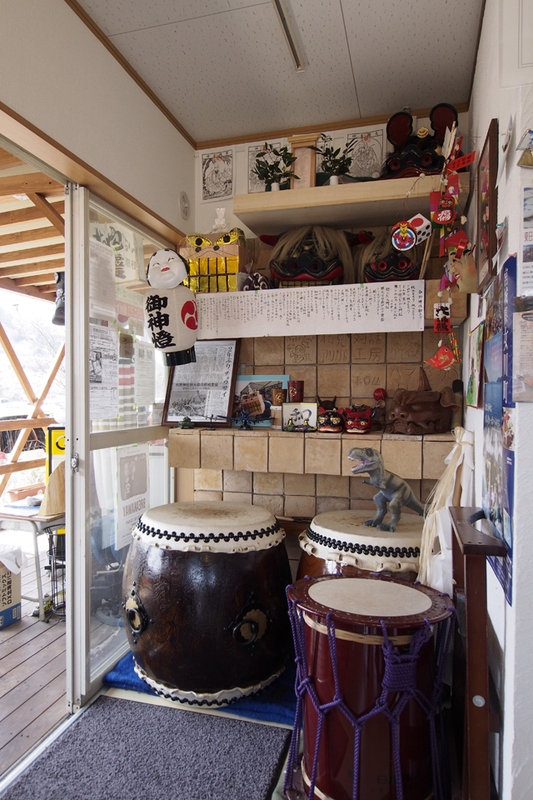 It was done carefully as it would became an important place for the community to display historical lion dance or drum, and completed on 20th. August. 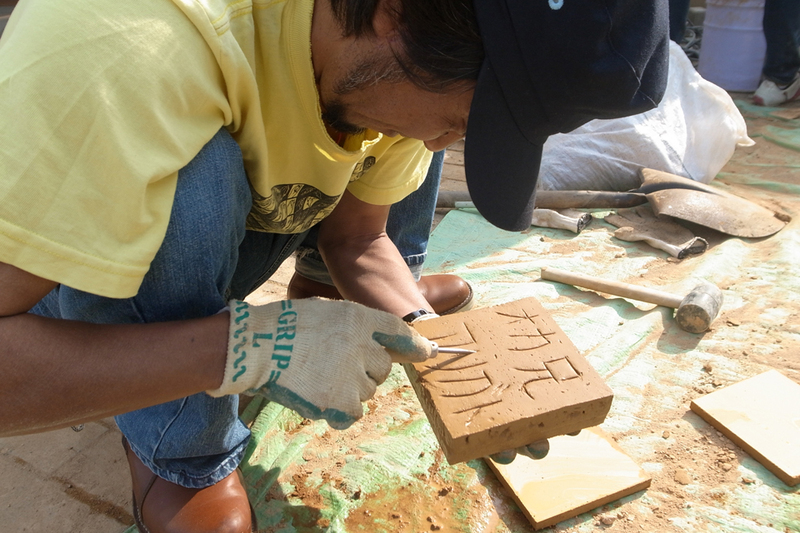 We started to make soil tiles on the spot in May and held a workshop with local people and volunteers. 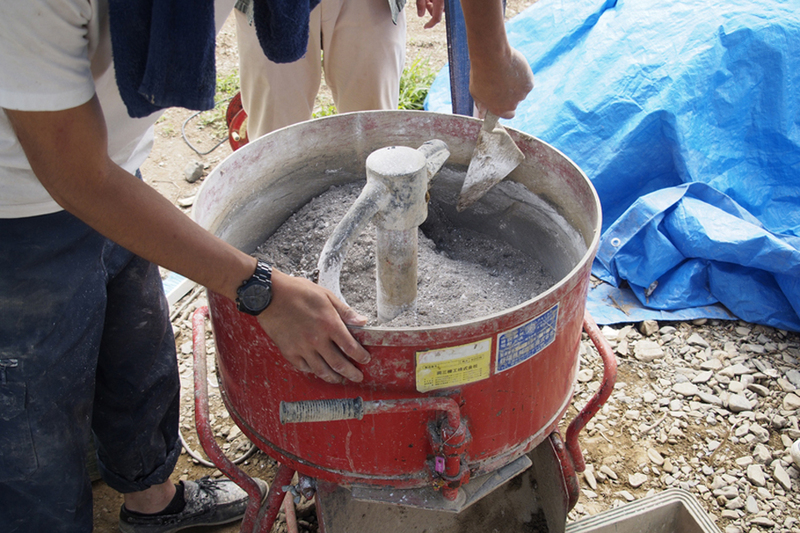 Under Professor Naoyuki Koshiishi of Waseda University who cooperates with us, we collected soil and performed material experiment in February 2012. 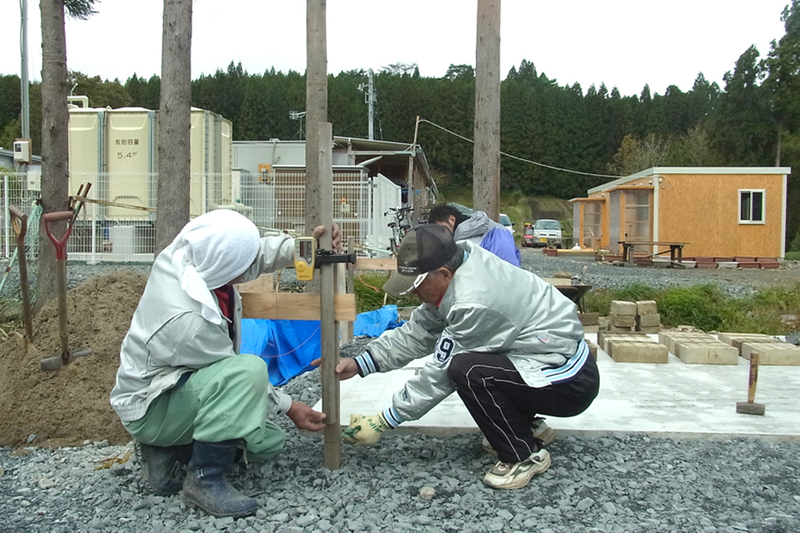 After that, we had meetings with local people through March and April and confirmed the shape of soil tile and position. 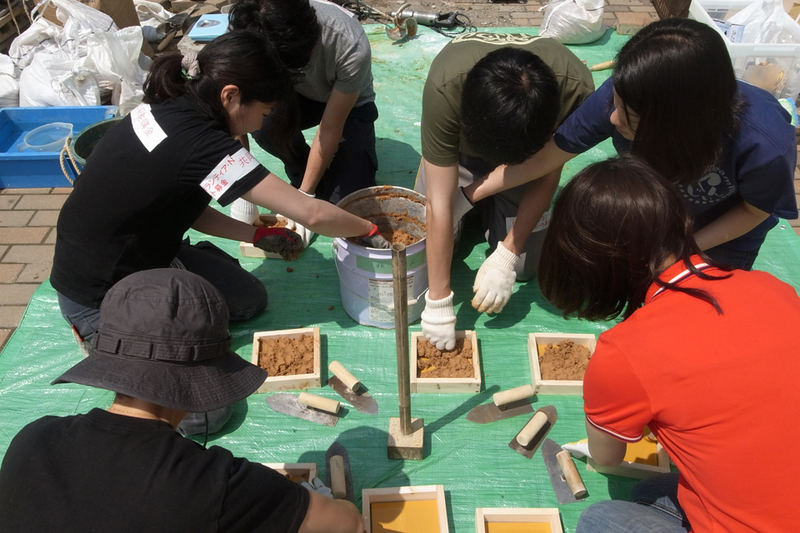 At the same time, we made samples and worked on confirmation because the soil tile was also different from the conventional earth block in the shape. 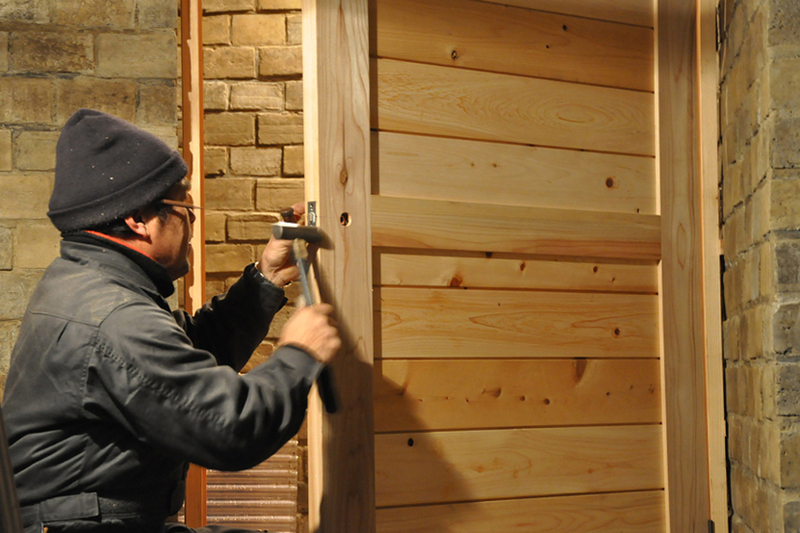 At first, we were going to build a warehouse for fishermen in Kirigasaki district Onagawa-cho Miyagi Prefecture. 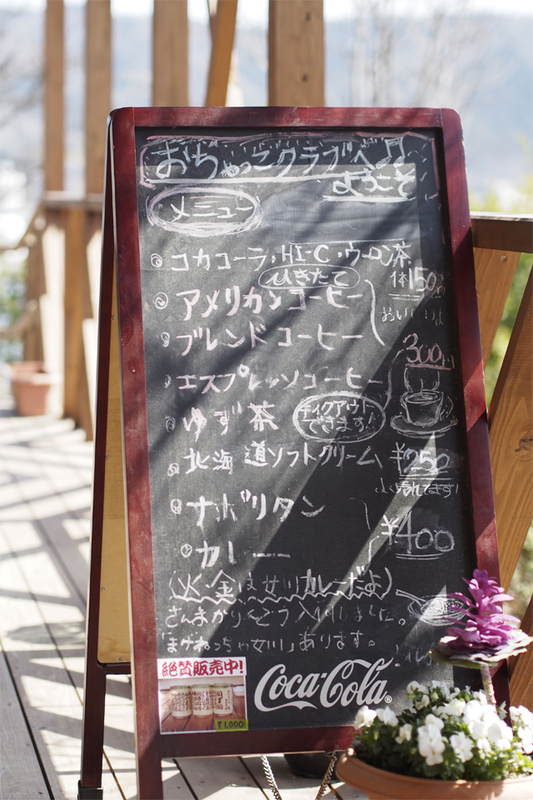 However, as a result of having a meeting with local staff, we started the support of interior material for the community café named “Ochakko Club” which located in Onagawa-cho community health center playing central role in this town. 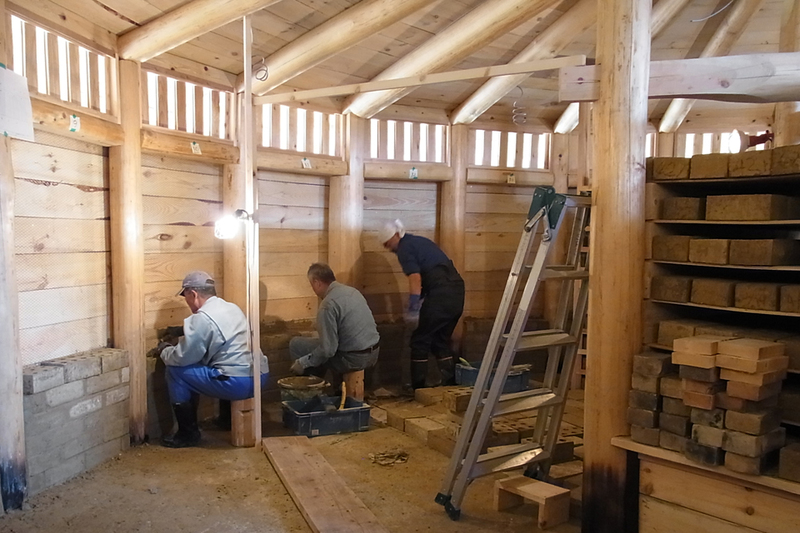 Before the support, the interior of Ochakko Club was finished with the plaster kneading with limestone and seawater from Onagawa. 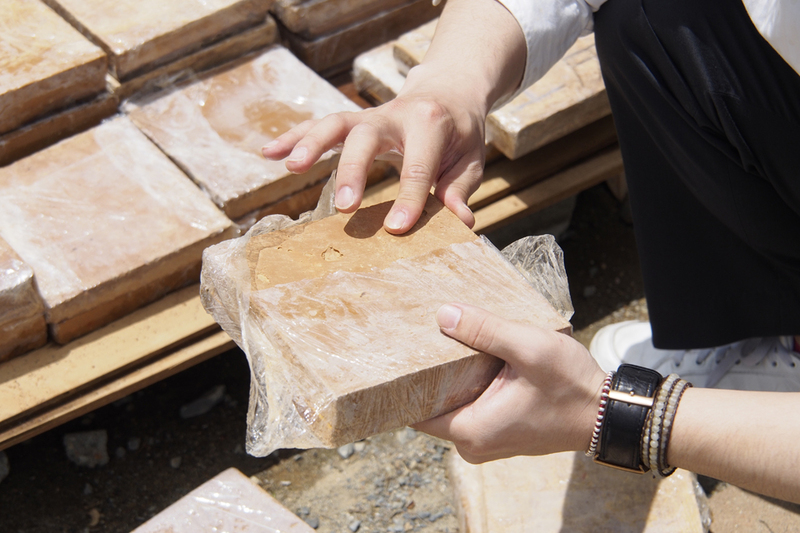 Therefore, it seemed to be good to use these natural materials "sea" and "earth" from the soil tile. 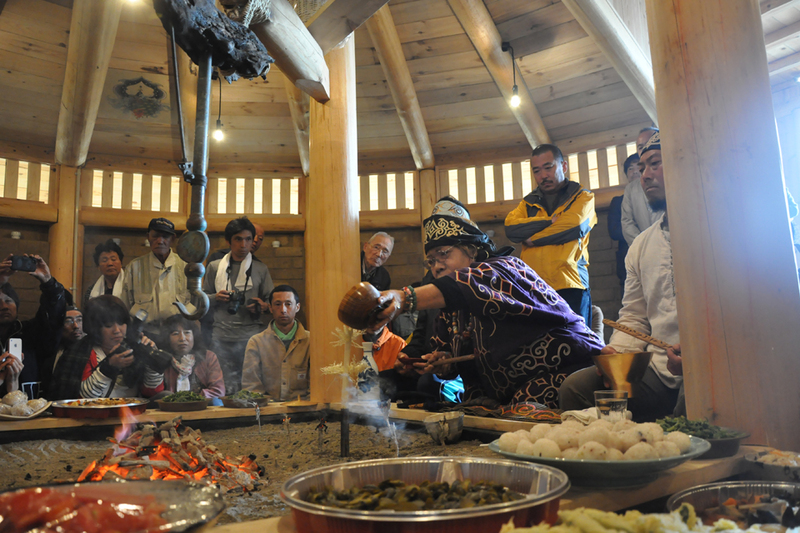 Everyone gathered and held the ceremony for completion. 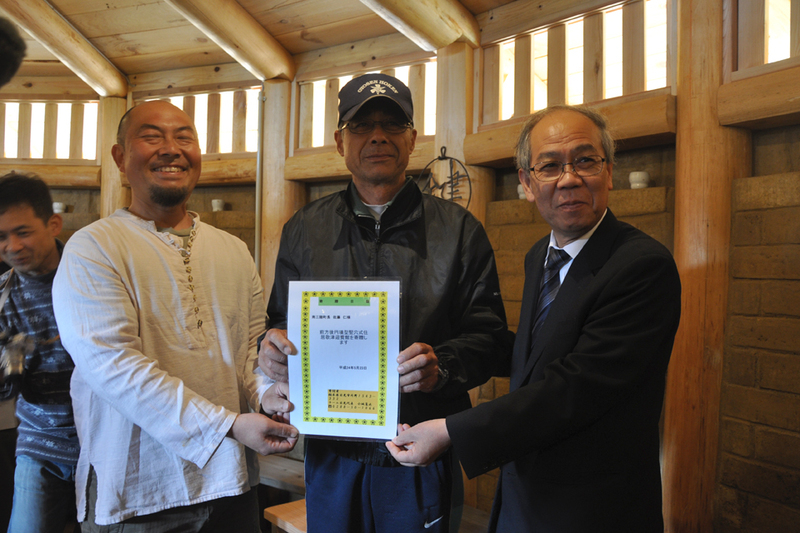 After that, Utatsu Geihinkan was presented to Minamisanriku-cho. 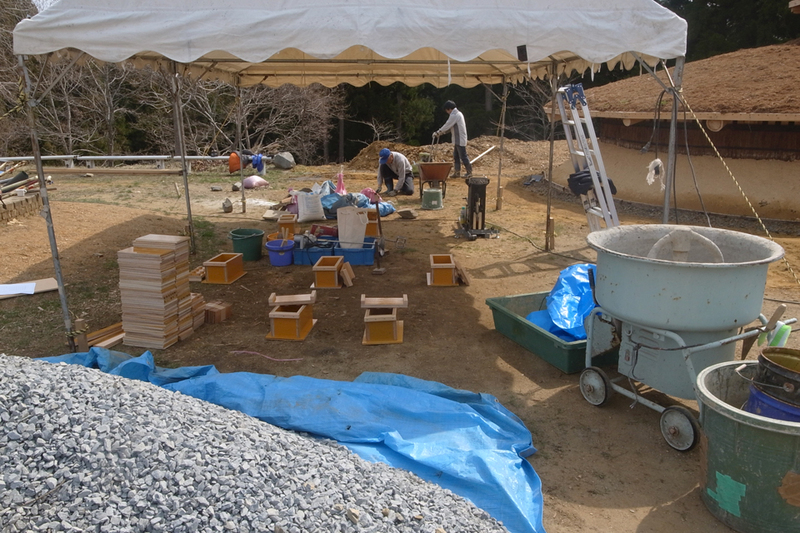 After a curing period, we piled up the earth block for 3 days on 5/14～5/16. 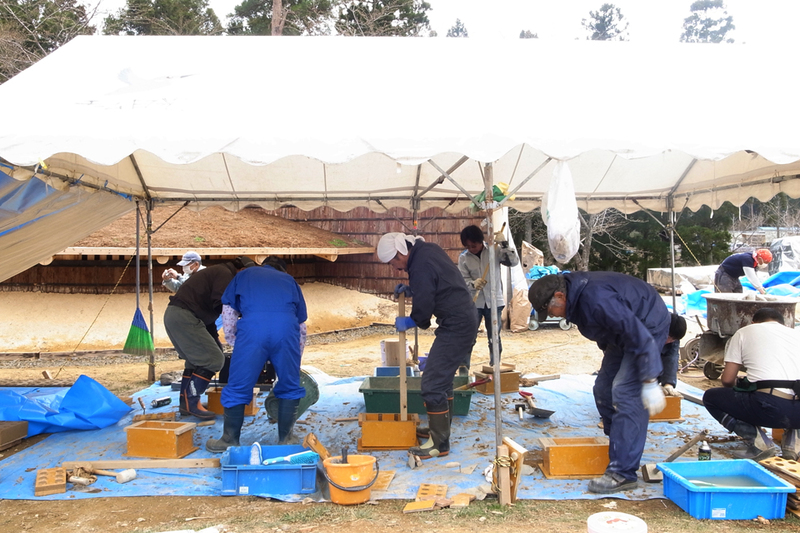 For 6 days on 4/15～4/20, we held the workshop for producing earth block with team Nikko and local people, and put them for curing. 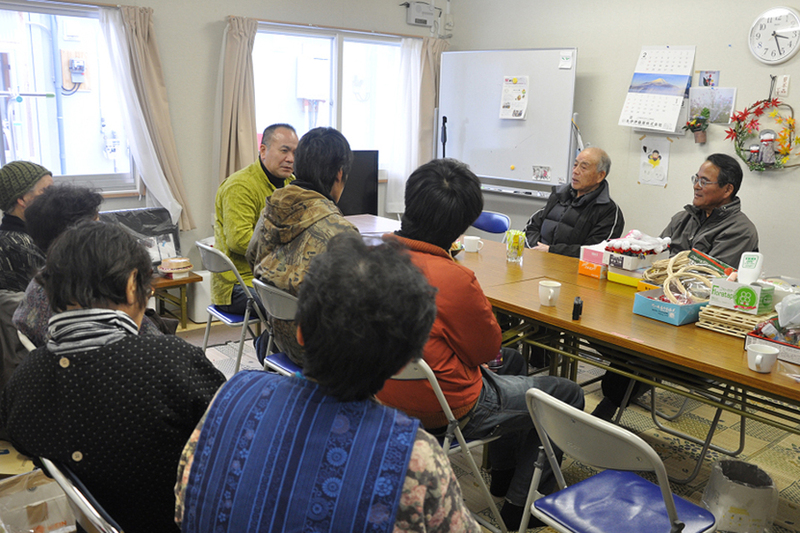 A volunteer group "team Nikko" played a key role and pushed forward the plan of "Utatsu Geihinkan", the meeting place for residents in Utatsu district Minamisanriku-cho Miyagi Prefecture. The building shape became a pit-type. The ground was clayey and strong, and because they dug all by hand, they wanted to utilize them somehow. That was the beginning. The main building construction started in the autumn of 2011, and completed January 20, 2012 including roof construction. We performed material experiment with Professor Naoyuki Koshiishi of Waseda University in February. 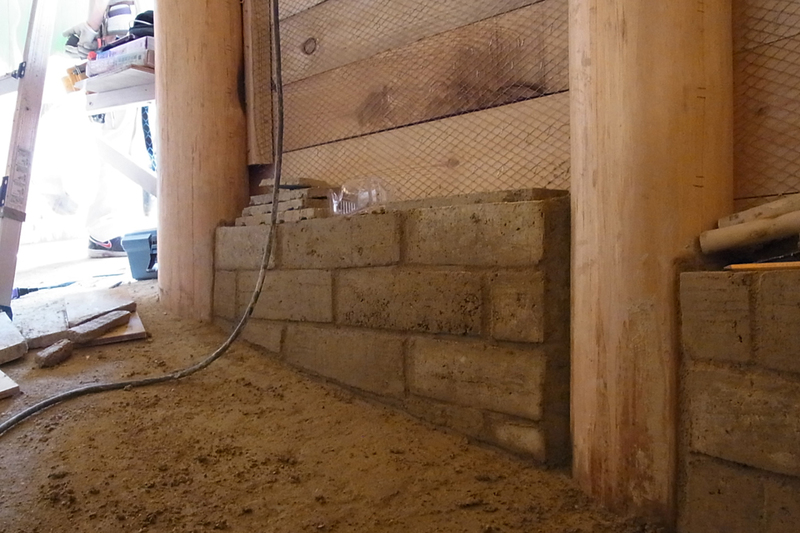 As a result of having a meeting with local staff in March, we decided to use earth block as interior material, chose the shape, and prepared for the construction.